Interested in Puppetry festivals? Enjoy one in Delhi, check details here! Puppetry is an art and still is a celebrated medium of storytelling. To give it more importance the Ishara Trust will organise the 14th anniversary of the annual puppet festival. This will be organised at two places - one in the Delhi NCR region and one in Chandigarh. 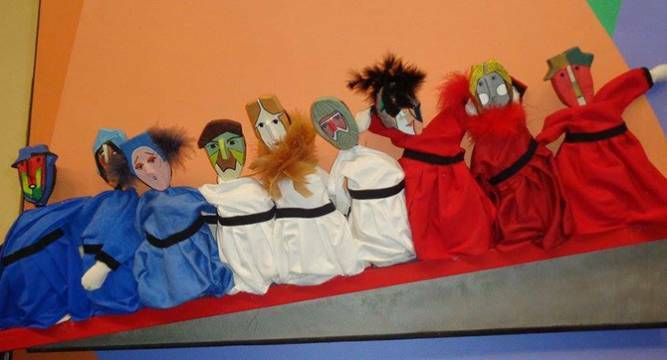 Several kinds of puppets, like Marionettes, glove puppets, masks and rag dolls will be used for stroytelling here. The programme also promises fascinating tales, musical performances and dance. People from all age groups- be it kids or families can witness the event and experience a medium that they might not quite be exposed to. This will also be a chance to see puppeteers from all around the world, including countries like the Brazil, Sweden, Norway, Israel, Iran, Sri Lanka, Indonesia, Taiwan, Japan, Afghanistan, Ireland, Australia, Switzerland, UK, Belgium, Italy, Germany, Switzerland, Spain, Turkey, and USA. For buying tickets and more details. Click the link here.